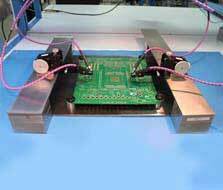 S-Probe series of single-ended probes can perform up to 20 GHz are designed for RF, power integrity, and signal integrity testing. 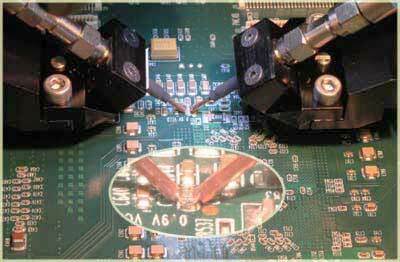 Its strong beryllium copper (BeCu) tips is perfect for direct probing of uneven surfaces, such as solder pads and circuit components. 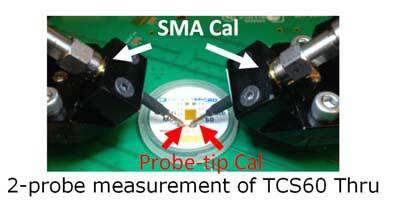 This is a big improvement over the fragile microprobes. 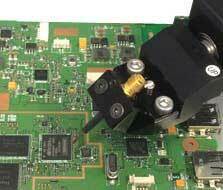 Constant shrinking size of circuit components makes soldering semi-rigid RF cables to test gigahertz circuits impractical. 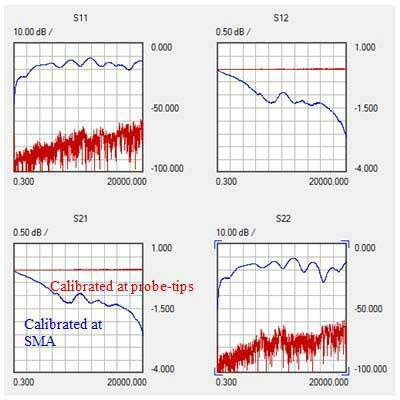 The rugged S-Probe and its calibration substrate (TCS70) allow engineers to perform probe-tip calibration for accurate, repetitive measurements. 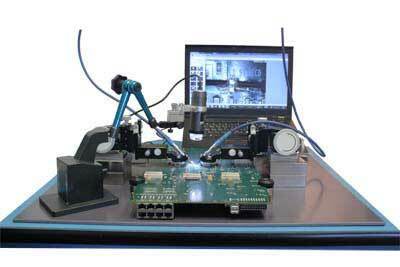 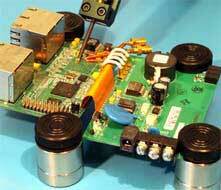 The user experience of S-Probe is similar to that of the microprobe. 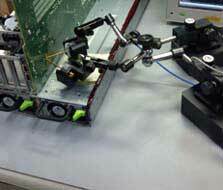 Users can use PacketMicro’s TP250 and TP150 Precision Positioners to hold an S-Probe. 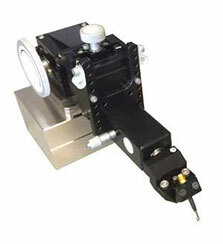 TP250 allows an engineer to switch between S-Probe and microprobe (with provided adapters) easily. 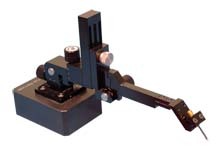 For customers who already have microprobe positioners, they can order a special adapter PMA01 to hold S-Probe.